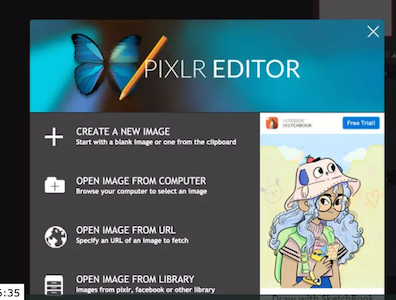 PIXLR Editor is a great free tool to use on the net. You can use it to help you select colors, crop your images, find the rule of thirds and lots of other things that are commonly done with Adobe Photoshop. Did I say free? Yes. Selecting the correct colors for you painting is easy for some but not for others. Steph Sweeting recommended a wonderful video by Unmask Art on Youtube that showed how to use a free website PIXLR.com/Editor to select a color palette. I created my own video on just this portion with an example from the Green Iguana painting class. I hope this is helpful. The Unmask Art video is referenced in my video. Enjoy and try it! Using Pixlr Editor from Sheryl Williams on Vimeo. 1 responses on "A Cool Computer Tool to Help You Pick Your Colors and Lots More"